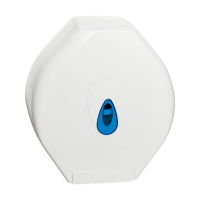 A range of coordinating dispensers for our range of paper products. Widely compatible with industry standard paper sizes. The Modular mini jumbo dispenser with stub features an integrated reve..
A high quality plastic wall mounted dispenser for Mini Jumbo Toilet Ro..
Popular in small washrooms, the Modular Multiflat toilet paper dispens.. 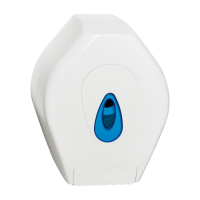 The Modular hand towel dispenser is a hard-wearing, versatile system t..
Space-saving and easy to restock, the Modular centrefeed dispenser has..
A high quality plastic wall mounted dispenser for Maxi Jumbo Toilet Ro..